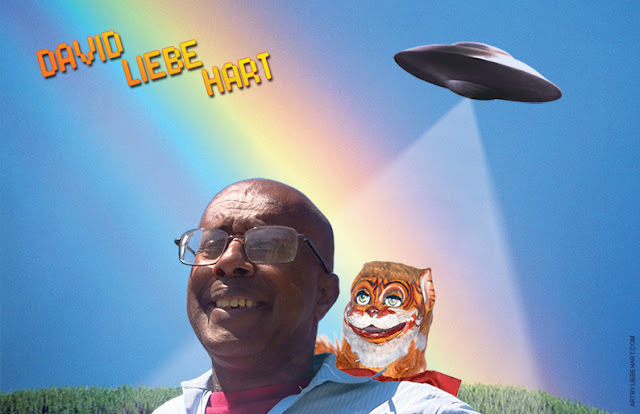 David Liebe Hart is a puppeteer, actor, musician, and alien contactee. I can't remember when I was first introduced to his unique kind of music and entertainment, but I've been a fan for maybe a decade if not more. There's something really sweet about his sincere and gentile awkwardness. As an alien contactee he talks about his philosophies concerning extraterrestrial life and how it has affected his life and demeanor. 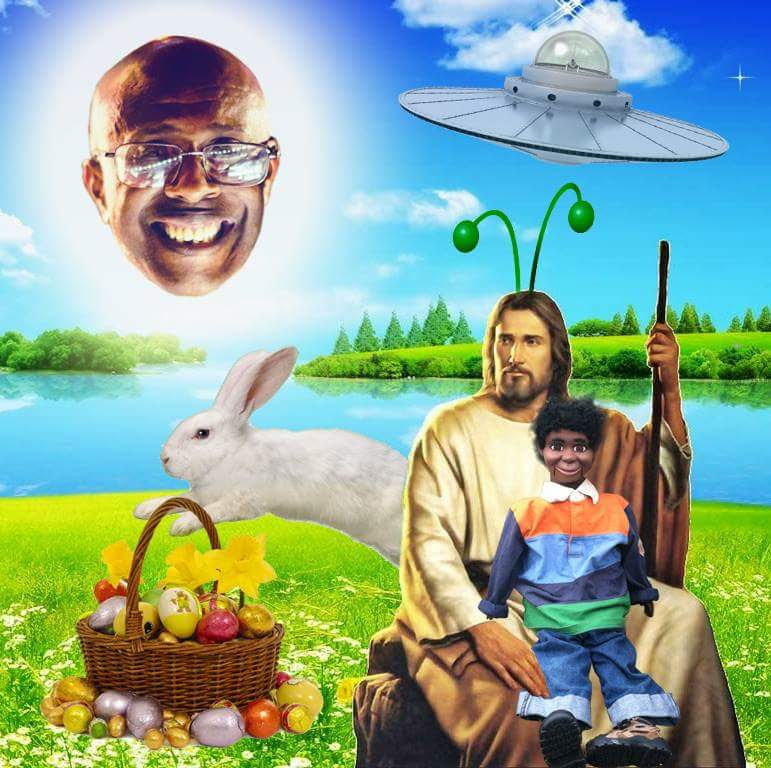 As a Christian Scientist, that is, a member and practicioner of the Church of Christ, Scientist, a lot of his music deals with his faith and important Bible lessons. I have a great deal of admiration for Mr. Hart. He's a great artist and a great human being. He seems to live a simple life of music, friendship, and faith. He's also a funny guy, having famously appeared in the [adult swim] show "Tim & Eric Awesome Show, Great Job!" as a cast regular. 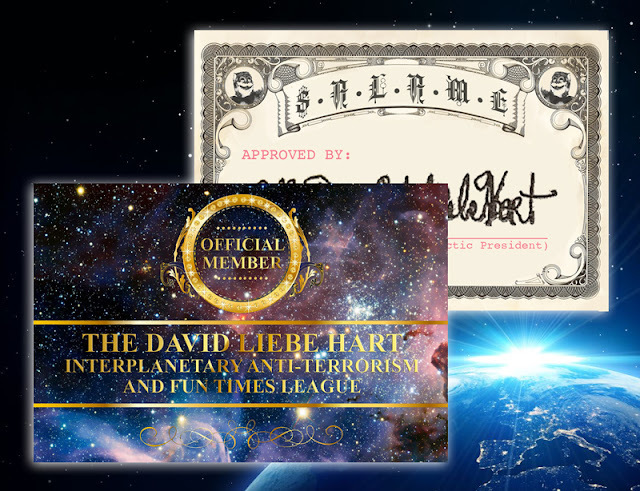 Recently, through Bandcamp, I joined David Hart's fan offcial fan club "THE DAVID LIEBE HART INTERPLANETARY FRIENDSHIP AND FUN TIMES LEAGUE! ", also sometimes known as the " INTERPLANETARY ANTI-TERRORISM & FUN TIMES LEAGUE". Just click on the image below for more information. With the membership you get access to all of David Hart's music, including his older work. There is something meditative and calming about some of his more faith inspired music, but I tend to prefer his songs that talk about aliens. That's just a personal preference though. To check out David Leibe Hart's offcial website which showcases his art, merchandise store, and a listing of his live appearances, click the image below.